Characters: 4 I do like Izzy and Tristan, and I do have to applaud Dunlap for making her characters voices so unique. Over the course of the book, there are three narrators: Izzy, Tristan, and Brianna. Their chapters are labeled Queen, Knight, and Rook (I was surprised when Brianna's chapter showed up and it took me a while to figure out who was talking so I thought I'd make it clear here because she's not a main character). Izzy is from the Lower East Side and her hippie-esque parents decide that they need to move to Brooklyn to be where it's trendy and up and coming. She's happy to go along with it, even when her twin brother isn't. She wants to be a doctor and is smart and curious. I enjoyed her point of view for much of the book. Tristan is very sweet. He lives with his aunt who is still very connected to her family in Trinidad . They have a nice bond with each other. He's also one of the best chess players in the city. Wanting to fit in to the neighborhood does lead him to make some questionable, and even dangerous, choices though. Ultimately, I think Brianna was my favorite character. I'm not sure what she really has to do with the story, and especially why she was chosen as a narrator, but she's a super interesting person. She's lived in the neighborhood her whole life and works at her family's restaurant, but she's also very in to astrology and tarot reading, which I found really interesting. Marcus isn't a narrator, but he is a central character. He's like the ringleader of the street, and he's always doing something kinda sketchy, though he rarely gets in trouble. 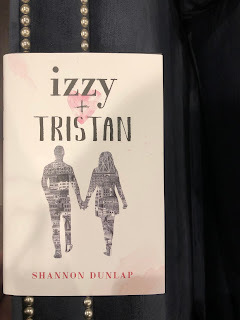 Tristan is his cousin, and they're close until Izzy comes along. But when Marcus starts to mistreat and objectify Izzy and Tristan starts to date her, Marcus becomes dangerous to the couple. Plot: 3 Since I'm not giving spoilers, I'll keep my comments here to the first 2/3 of the book. I think this is the only novel I've picked up that I've loved the first 50 pages and then felt like the rug was pulled out from under me for the rest. The story set up in the beginning is not followed through on. Marcus goes from a good guy doing bad things to a terrifying villain after a single punch. His storyline, going after Izzy romantically to get back at Hull, is disturbing and doesn't serve the story, but the way that they suddenly decide he's really dangerous is a little bazar. I had to reread the description on the book flap afterwards to make sure I didn't miss something. Nope. The flap copy (and the cover artwork) sell this as a cute neighbor romance between a smart girl and a geeky, chess playing guy. They say it's a love story for the ages. Really, it's a lot of unprovable, unearned, and uncalled for situations that culminates in the reader feeling mislead and a little unnerved about how some serious topics were handled. Writing: 2 Okay, I said there'd be spoilers here and there will be, so if you don't want that, stop reading now. Otherwise, here we go. The main thing that you need to know to get everything below is that Tristan is shot and killed during a protest against police brutality with some friends at his other school. This happens twenty pages from the end and really comes across like a throwaway event to make it a tragic love story where somebody dies. Books that deal with racial discrimination and police brutality are so important, and there are so many amazing ones (The Hate You Give, Dear Martin...) that this incident that was written like a throw away plot twist left a bad taste in my mouth. The incident is barely discussed beyond saying that the officer claimed he had his taser out, but it turned out to be his revolver (what?). This is never explained further. 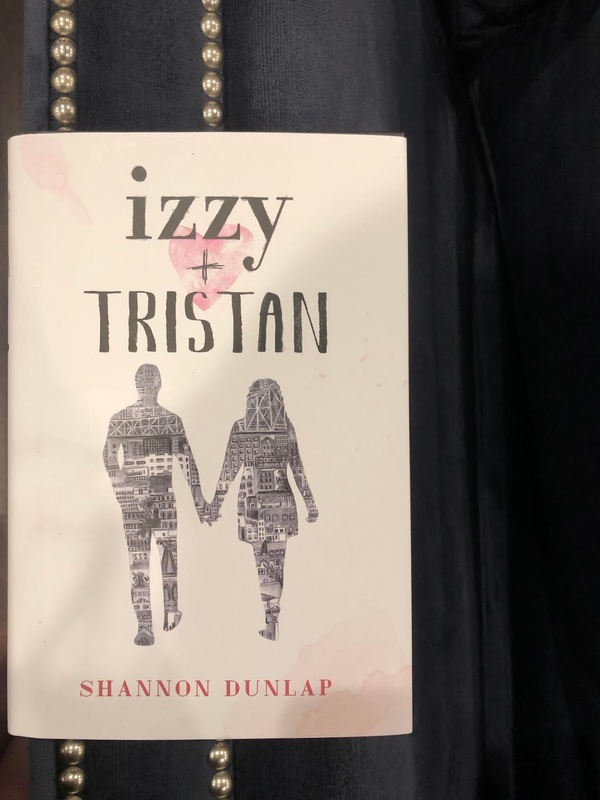 Then, if it could get worse, there's an epilogue set three years later where Izzy is in a mental hospital, totally destroyed where she says she'll be, languishing, for the rest of her life because she'll never get over Tristan. I understand grief and getting help and working through traumatic events, but there was no build to this. She was a perfectly healthy person before. To have the death of her boyfriend entirely end her life at 17... It doesn't make your love story more romantic or compelling. That's for sure. She was going to live such a promising life, and the author decides to take that away from her too. Exploiting severe grief and mental illness to make your story more "romantic" or something is disgusting, and I have to wonder how so many people were cool with that now. Also, just logistically, it's revealed that's she's written (and rewritten) the book as a proposed therapy, but how is there three points of view, all in distinct voices? I was so confused when Tristan died because he'd been narrating in the reflective past tense up to that point. Did she only write her chapters and Tristan posthumously contributed and Brianna sent pages from grad school? I feel like Dunlap wrote three different books throughout the novel and only the first one made the summary. The odd turn with Marcus made it go from an interesting story about an interracial couple falling in love in Brooklyn and exploring each other's worlds to a weird star crossed lovers situation. Until the last 20ish pages, I was going to give the book four stars, but the ending... It made all the other small, off color moments in the novel come together to make a not so pretty picture. I wish she hadn't ended it this way. I wish she had instead delivered her promise of a love story for the ages. If you want a tragic romance or epic love, read something written with more care like All The Bright Places. If you want a love for the ages read Eliza and Her Monsters or a romance in New York, What If It's Us. And for books that handle police brutality with sensitivity and an expert hand look to The Hate U Give and Dear Martin where the tragedy and horrible effects are properly explored and respected. Don't let the pretty cover and interesting flap copy fool you.